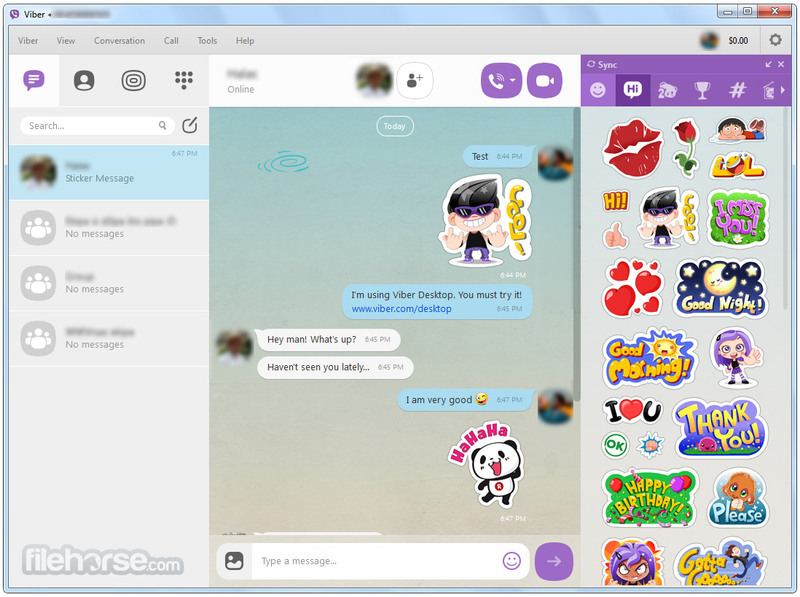 Viber for Windows lets you send free messages and make free calls to other users, on any device and network, in any country! Viber syncs your contacts, messages and call history with your mobile device, so you can start the conversation on the mobile application and continue from the comfort of your PC. Download software offline installer for PC from FileHorse now, enter your phone number, and start connecting with your friends. 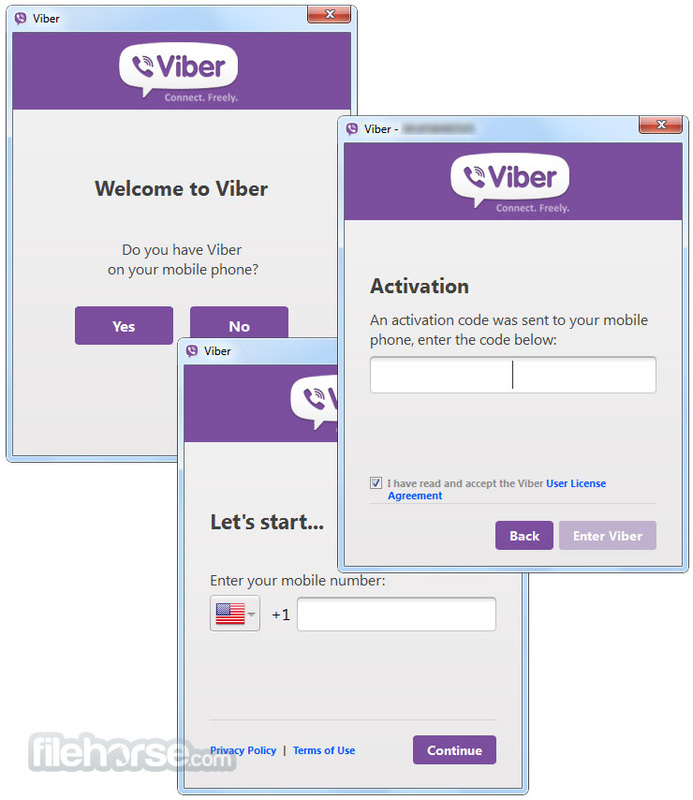 Viber for PC is a calling and messaging app that connects people–no matter who they are, or where they’re from. With a free and secure connection, over 1 billion users worldwide communicate with their loved ones through high-quality audio and video calls, messaging, and much more. All calls and chats are protected by built-in end-to-end encryption, so you can be sure that your conversations are always secure. 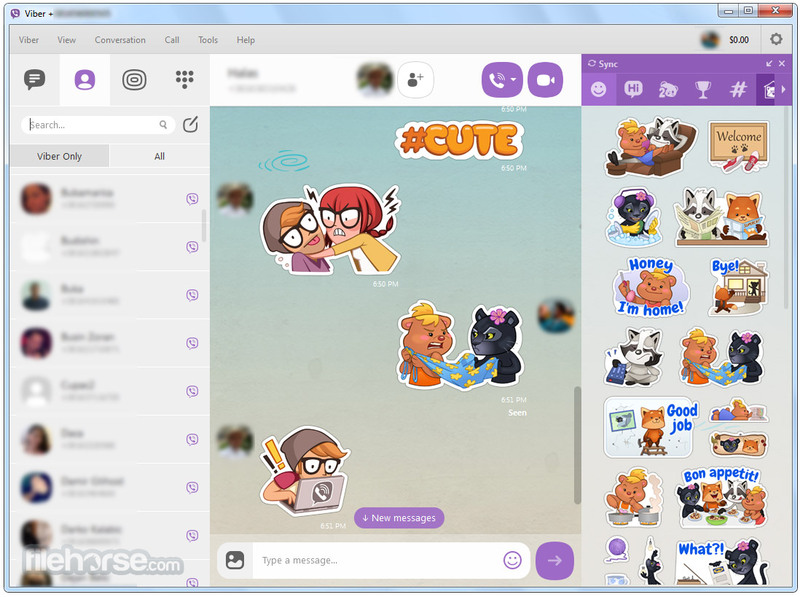 Communicating with your friends, family and coworkers on Viber 2019 for Desktop just got a whole lot easier. The replies feature is now available on desktop as well as on mobile, which means you can reply to a message that has been sent a while back in your group chat or any chat, and never feel left out of a conversation ever again! Communities is a new way to bring people together. Think group chat—with unlimited members, more admin control and new conversation features. Drag any contact into the header of a conversation you’re already having and make it a group! Simply add the person you’d like to your group by dragging their contact into the group chat header. Now, let the good times roll! Share the details of a person on your contacts list in the quickest and simplest way. Simply drag the contact you wish to send into a one-on-one chat or in a group chat. Yup, it’s that simple. Search, find, and share music, GIFs, videos, restaurants, events, hotels and more through your favorite websites without ever leaving your chats. Messages are encrypted as they travel across the internet from your device to your recipient’s. Encryption keys exist on user devices and nowhere else. So, no one—not even Viber—can read your messages. Sharing files can come in handy, particularly when you want the person within your chat to get easy and quick access to them. Progam enables you to send almost any type of file up to 200 MB, which means you are now able to bombard your recipient with a whole lot of files. Just drag the file or files you’d like to share with the person or group you’re chatting with. In the same way you can share your files in your chat, you can also send your photos through our improved drag & drop feature. You can even take control over the quality of the files you send by choosing their original uncompressed size (again, up to 200 MB) or sending them in their usual compressed size. Verify the identity of who you’re chatting with by exchanging secret keys. Viber for PC notifies you if anything about the contact’s details changes.